The young Chinese mezzo-soprano was born in Shanghai. After the graduating from the Middle School affiliated to Shanghai Conservatory of Music by Prof. Bian Jingzu, she started her vocal study in Europe. She studied at Hochschule für Musik und Theater Hamburg by Prof. Ingrid Kremling and there she made her bachelor and master degree of Lieder-Oratorio and opera with a first outstanding award. 2011 she received her doctor degree of opera performing and singing at the Hochschule für Musik Stuttgart by Prof. Dunja Vejzovic. During her study, Ms. Zhu has visited numerous of singing masterclasses, such as by Madame Zhou Xiaoyan, Ileana Cotrubas, Wen Kezheng, Mirella Freni and Francisco Araiza etc., and also the masterclasses organized by the Metropolitan Opera and La Scala. She is a winner of Elisa-Meyer Vocal Competition and Timmendorfer Strand Music Festival Singing Competition in Germany, Nagasaki Music Competition in Japan. Her opera repertoire includes "Carmen" (Carmen), "Werther" (Charlotte), "Cosi fan tutte" (Dorabella) "Rigoletto" (Maddalena), "Rheingold" (Rheintochter) ,"Wilderness" (Jiao's Mother), as well as some German and Austrian operettas. Besides opera, Ms. Zhu is also a outstanding concert singer. She gives her Lieder recital in Germany, Japan, Belgium, Switzerland, UK and the USA. She made her opera debut in China in 2013, as Giulietta in Les Contes d'Hoffmann produced by NCPA Beijing. She appeared in 2012-2013 season of Shanghai Symphony Orchestra, singing Maddalena in Rigoletto. In 2014-2015 season, she was soloist in Beethoven’s Symphony No.9 with NCPA Orchestra, and collaborated with Maestro Zhang Yi and The National Ballet of China Symphony Orchestra in Mahler's Das Lied von der Erde conducted by Zhang Yi. In May, she sang Bersi in Andrea Chenier in a NCPA production. In April 2017, she made triumph debut of Carmen with Yang Yang and China National Opera. Since 2008, Ms. Huiling Zhu is the artistic director of the charitable foundation Stiftung Chinesische Nachwuchskünstler e. V. Hamburg (Germany). Central Opera House is the national opera house under the direct administration of Ministry of Culture. 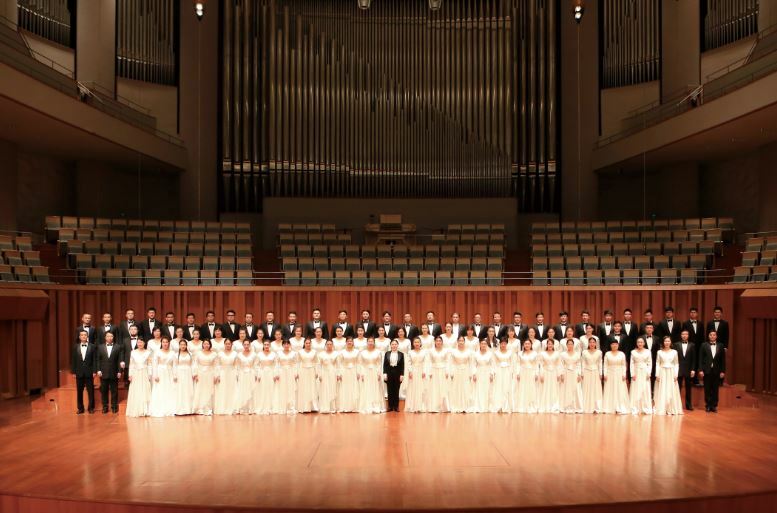 Chorus is the main consist department of China Opera House, meanwhile Chorus is a prominent and influential singing company in China. And most of its members are top graduates from conservatories of music all over the country who were well trained in music knowledge and vocal expression. In the past years, the Chorus has a wide repertoire ranging from well-known Chinese and foreign opera and vocal masterpieces. Thanks to persistent effort of generations of artists in more than half a century, the Opera House has debut, staged and preserved a rich repertoire of word famous operas, including La Traviata, Madama Butterfly, Carmen, Giani Schicchi, Turandot, Aida, La Boheme, Rigoletto, Le Nozze di Figaro, Othello, Cavalleria Rusticana, Il Barbiere di Siviglia, I Pagliacci, Les Contes d’Hoffmann, Roi d’Yis, etc.The Opera House has also accumulated a repertoire of Chinese operas, including LiuHulan,Song of the Grassland,Ayiguli, The 100th Bride, Marco Polo, Du Shiniang, Farewell My Concubine, etc. In 1988, at the invitation of Savonlinna Opera Festival, China National Opera House visited Finland and staged performances of Madama Butterfly, Carmen,Requiem of Verdi and some Chinese musical pieces, which received tides of praise from the media.